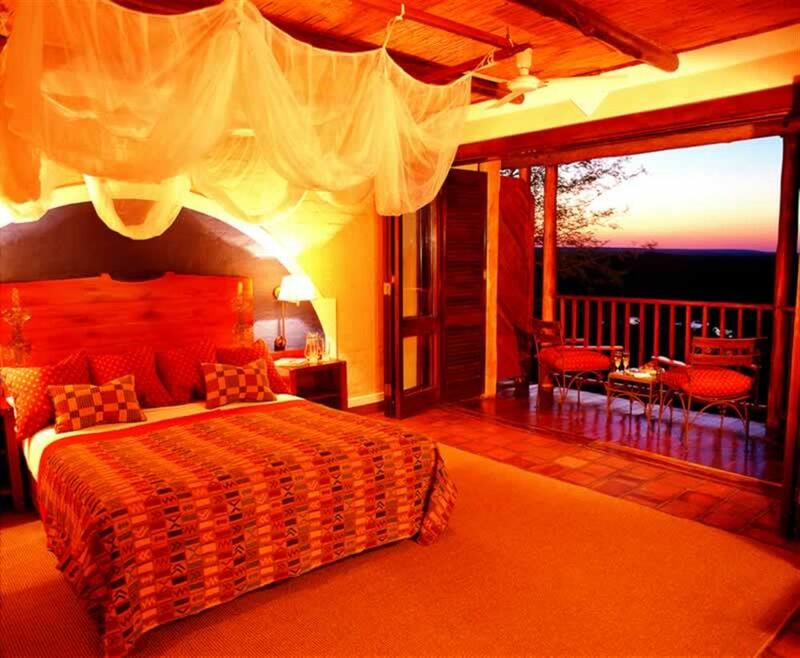 Victoria Falls Safari Lodge is set high on a natural plateau, bordering the Zambezi National Park and is just four kms from the thundering Victoria Falls. 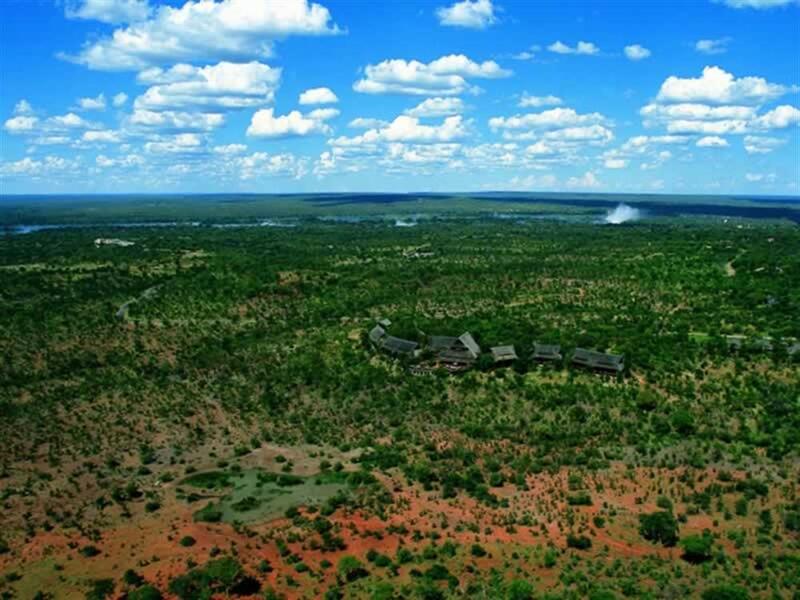 All the lodge's rooms have digital safes, IDD phones, remote control air conditioning, hairdryers, fans, mosquito nets, a range of customised toiletries, complimentary tea and coffee making facilities, and extra length beds. 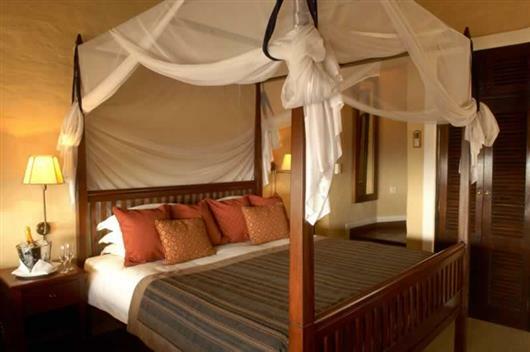 Five of the Deluxe Double rooms can accommodate a rollaway bed for a child under 12 years old. All Standard rooms have a balcony with a view overlooking the National Park and facing the sunset, and bathroom with luxury bath and separate shower. 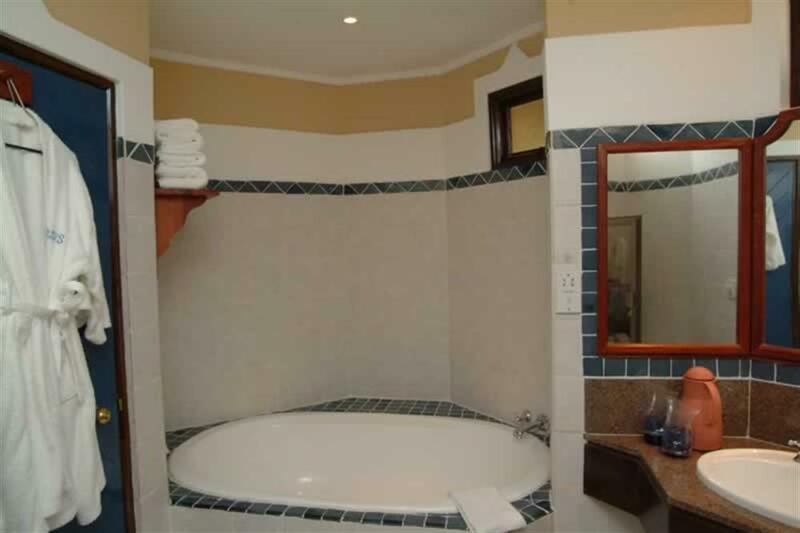 Deluxe rooms have a private balcony with prime views of the waterhole and an additional mini bar. 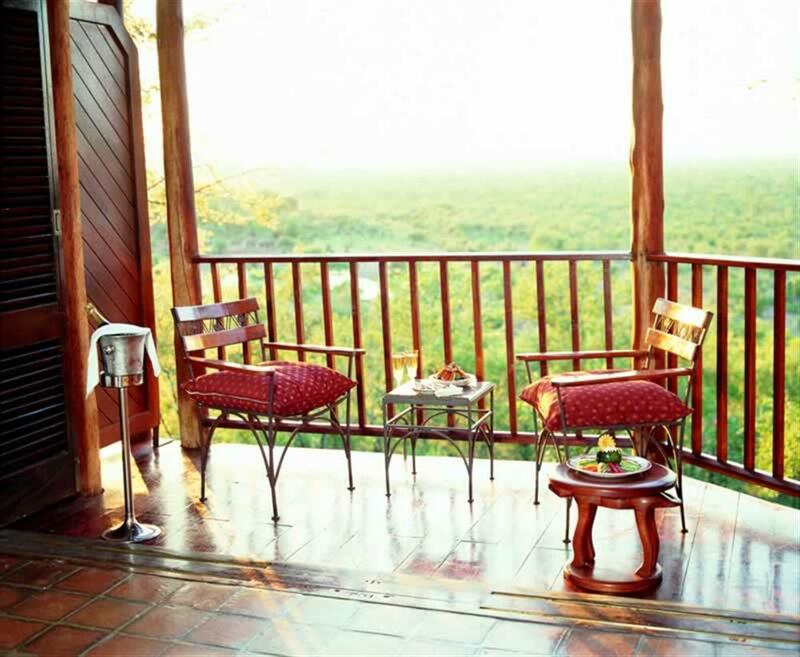 The lodge's luxury Suite is in duplex style with an entrance into the sunken lounge leading onto a private balcony with views overlooking the waterhole as well as Zambezi National Park and facing the African sunset. 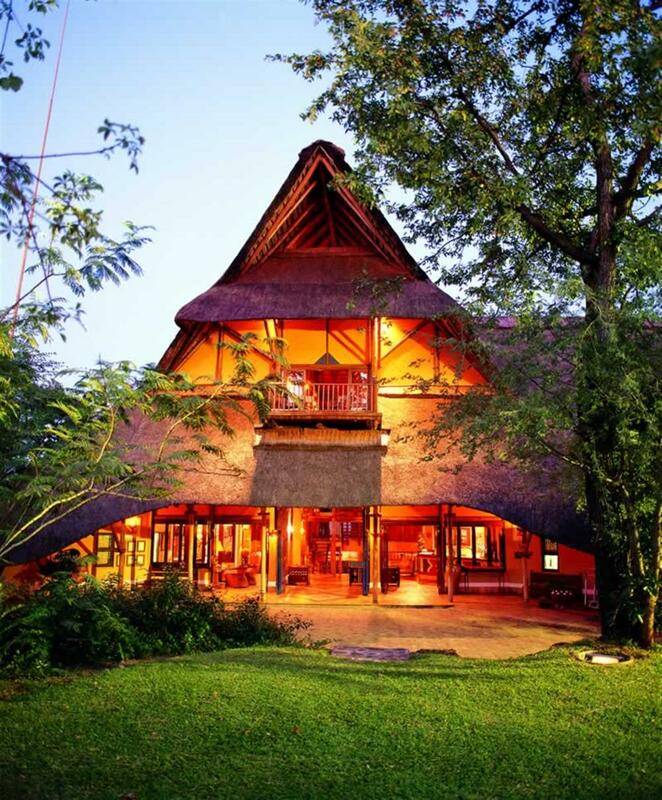 Victoria Falls Safari Lodge boasts a number of resort activities where guests can experience an enhanced bush, wildlife and safari experience, without having to leave the property. 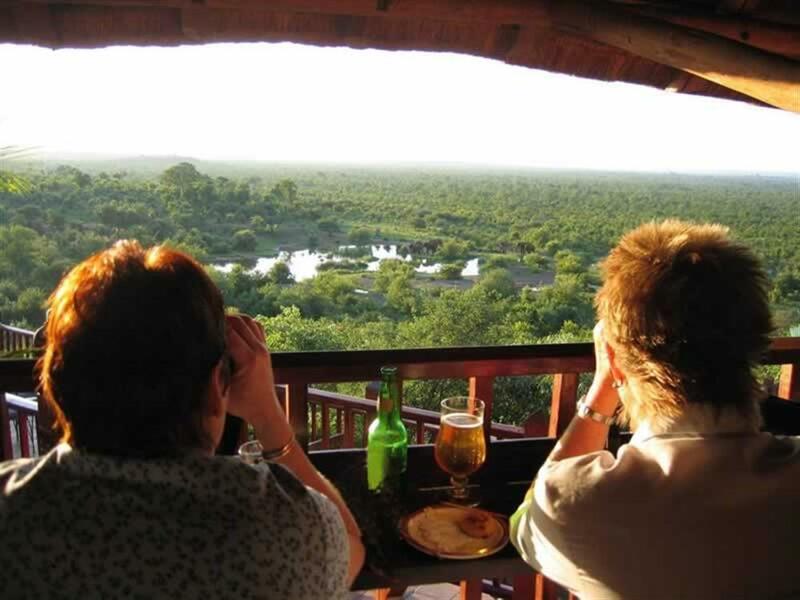 Some of the resort activities on offer include hide sits (to get closer to the animals), guided safari walks, nature trails and bird watching. 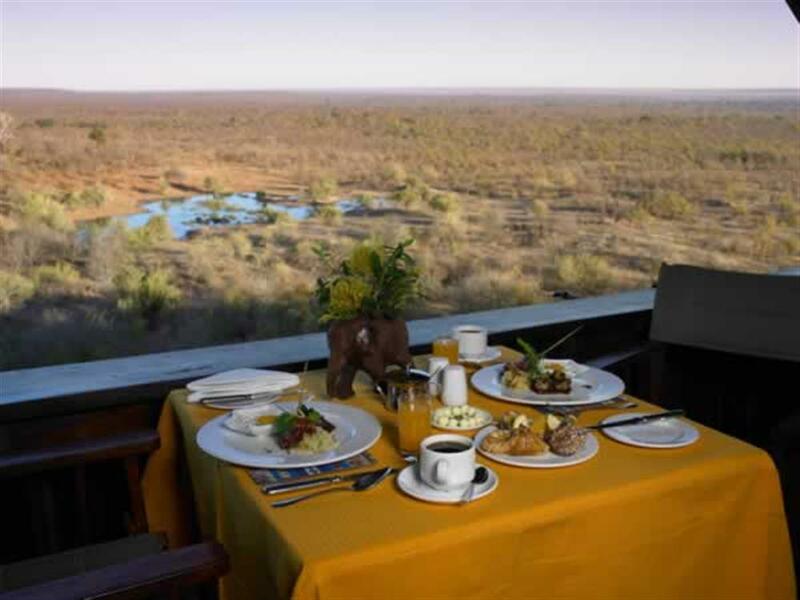 There is also a swimming pool with sun deck, award winning restaurants and bars, and private bush dinners can be arranged.